A job aboard a shipping vessel is a potentially dangerous career. Regardless of whether the vessel is a yacht, cruise ship, ferry, tanker, or even a fishing boat, workers aboard aquatic vessels have some the highest risks of injury while one the job. Fortunately, the law also offers these workers some unique rights of recovery when injured. Our lawyers specialize in cruise ship and maritime accident claims. That means we assist injured crew members at sea. Once a crew member establishes him or herself as a seaman, he or she may utilize all the rights of recovery and remedies of the Jones Act and U.S. general maritime law. This includes the legal right to receive maintenance and cure. Maintenance refers to the worker’s per diem living allowance, cure is the cost associated with the member’s medical care, and sick wages refer to the crew member’s lost wages. Maintenance refers to the legal right of an injured crew members wages are paid. Maintenance payments must be paid until the crew member reaches maximum medical improvement, or able to return to work. Cure, on the other hand refers to a crew members right to receive prompt medical care and attention. "Maintenance" and "cure" is an absolute right under the the Jones Act and substantive Unites States federal law. If a cruise ship operator or vessel operator fails to provide an injured crew member their maintenance or cure benefits, the crew member may be entitled to recover additional compensation without proving fault. In other words, the owner owes a legal obligation to pay maintenance, cure, and sick wages whenever his or her crew member become sick or injured on the job. Injured crew members may also be entitled to punitive damages, if their employers intentionally or arbitrarily fail to pay maintenance, cure and sick wages. In some cases, attorneys fees, and punitive damages may be awarded. Our Florida maritime lawyers specialize in handling these cases. We know what do to do and how to help. If a crew member spends 30% or more of his or her time “on the clock” on a vessel in navigation, he or she qualifies as a seaman. One important advantage of a Jones Act case is the applicability of strict liability in some instances. If a crew member suffers injury as a result of the employer’s failure to comply with a federal statute or regulation targeting crew member safety the crew member may recover the full amount of his or her damages regardless of the crew member’s own fault in the accident. For instance, if a crew member is injured aboard the vessel, and proves that he suffered $2 million in damages, but the jury found him 90 percent at fault, in many negligence cases, he’d recover $200,000. However, if the crew member proved that the employer violated a federal crew safety regulation, under the strict liability provisions of the Jones Act, he is entitled to the full $2 million. Crew members seriously injured may also have claims under the general maritime laws under "unseaworthiness" doctrine. This is a claim against the vessel owner. Under General maritime law, cruise ship operators and vessel owners warrant to their crew that their vessels that the vessel is seaworthy or reasonably safe for use in its intended purpose. Under an unseaworthiness claim, a crew member may seek compensation if a dangerous condition exists that, in any way, leads to the member’s injury. The owner need not be aware of the condition in order for the crew member to recover for his or her injuries. If your an injured crew member then contact one of our lawyers today. It is important to get advice to see how the law applies in your case. 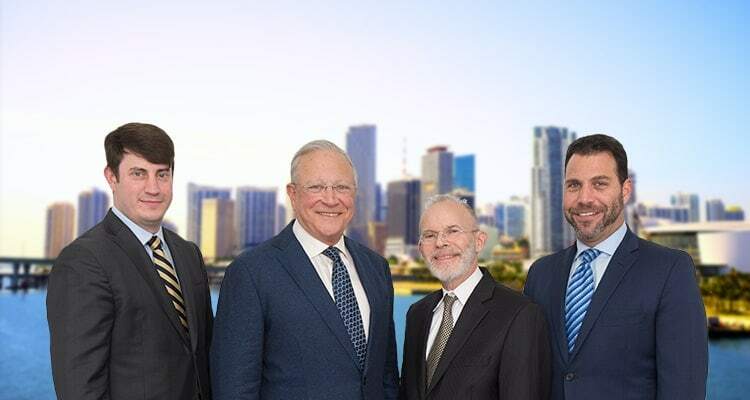 For help in Florida, be sure to get in touch with the experienced crew member injury attorneys at Gerson & Schwartz, P.A. There is no obligation to call, share your story, and see what can be done.